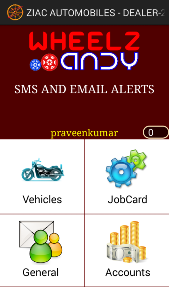 Wheelzandy Alerts is an application which helps to send SMS and EMAIL Alerts / Reminders to the customer. 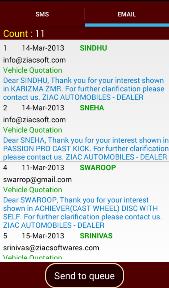 This Android Applicaiton is marketed by - Ziac Software Private Limited (ZSPL). 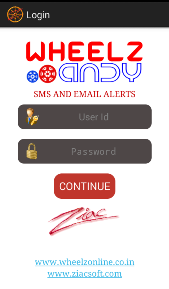 The all new WheelzAndy Alerts Android App** for Android Handsets is an add-on*** module that makes sending Alerts through SMS and EMAIL more seamless. 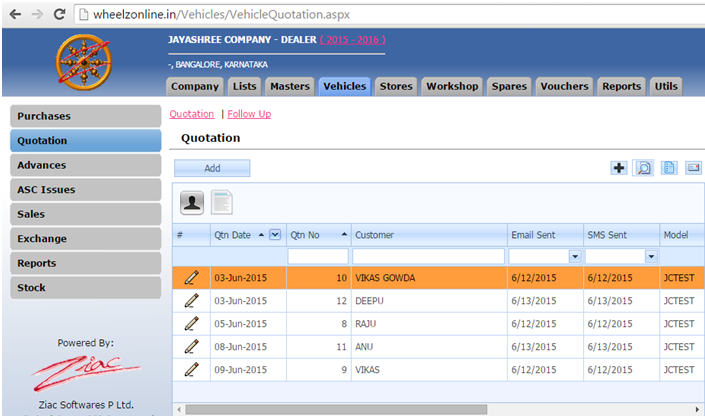 SMS and Email Alerts / Reminders are sent to the customers when they do transactions with the company in vehicle, workshop and Accounts Department. SMS and Email Alerts / Reminders will be sent to each transaction. SMS / Email will be loaded by department wise. User is able to preview the alerts before sending. 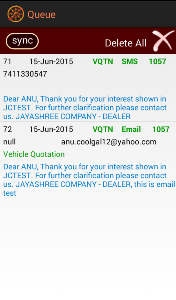 SMS / Email sent date and Time will be synced with the server. 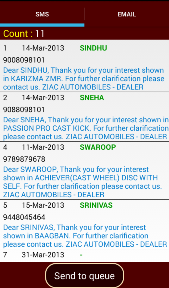 Alerts and Reminders sent to the customer from WheelzAndy Alerts App. 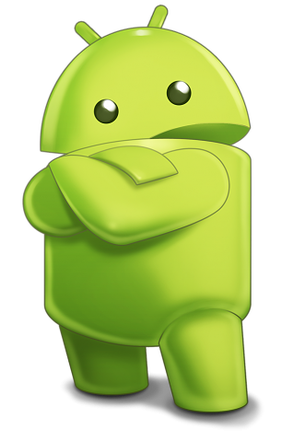 ** WheelzAndy Alerts will work in any Android handset having OS version Jelly Bean to Lolipop and an internet connection (Datapalan or Wifi).